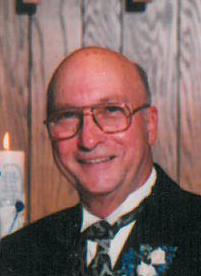 Jackie “Jack” Nagel, Green Bay, passed away peacefully on Wednesday, January 23, 2019. Jack was born on October 28, 1934 to the late Edward and Nellie (Rickman) Nagel. Upon graduating from West High in 1953, Jack joined the United States Marine Corps. and served in the Korean War. He was a member of the “Wonderful One” – 1st Division, 1st Battalion, 1st Marines. Jack briefly worked for the railroad until he was hired by the Brown County Sheriff’s Department in 1962. He retired in 1990 as a Commander of the Patrol Division. Jack married Tina Yurek on May 15, 1999 and together they have a son, Taylor Nagel. From his previous marriage, he was blessed with 3 sons; Daniel, David and Christopher. His sons and grandchildren meant the world to him. Jack was an avid Cubs fan, inland trout fisherman, and phenomenal cook. He enjoyed his daily crossword and coffee. He also enjoyed a good Manhattan or two. Jack is survived by his loving and compassionate wife Tina of 19 years; his sons Dan (Sue), David, Chris and Taylor; beloved dog, Reagan; grandchildren, Kiley, Laryn and Cameron; special niece, Mary Lou Rammer; sister-in-law, Mary Nagel; as well as Tina’s brothers and sisters and their families. Jack was preceded in death by his parents, two brothers and one sister. Visitation will be held on Monday, January 28, 2019 at Lyndahl Funeral Home, 1350 Lombardi Ave., from 4:00 p.m. until 7:00 p.m. Visitation will continue Tuesday, January 29, 2019 at Bethany United Methodist Church, 1110 Echo Ln., from 9:30 a.m. until the time of the funeral service at 10:30 a.m. with Pastor Robb McClintock officiating. Expressions of sympathy, memories and photos may be expressed with Jack’s family on his tribute page at www.lyndahl.com. The family would like to thank to the staff at Alpha Senior Concepts and Southern Care Hospice for their care and compassion.